Tanki X - download the client and join the battle! Game Tanks X (Tanks X): even more possibilities. 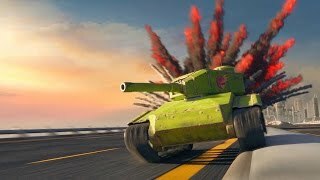 Tanks X, this is a direct descendant of the legendary game"Tanks Online", which remains quite competitive, but morally a little outdated. Players crave spectacles, and the new version offers them to the fullest. Tanks X is available to anyone who wants to participate in beta testing. It has been running since February 2016, and helped developers identify problem areas. It should be said that the Tanki X is a client game unlike its browser predecessor, and it remains completely free. A toy is available for the most common systems: Windows, iOS, Ubuntu, Android, MacOS. But this is not the only difference, and fans of tank battles are waiting for many pleasant surprises. As the practice showed, the most popular task is to capture the flag, and if you download the customer tanks online, you too can join the players, taking part in this exciting hunt. Tanks on the brink of fantasy. Developers have worked on the tanks themselves. Now begin to improve for the first line of tanks for guns can be from the twentieth level, and for armor from the fifteenth. The second line will open from the fiftieth level, and soon there will be unique opportunities for those who have pumped their technique to the highest level. If steel and gold are different plates on the case, giving originality to your military equipment, the legendary cars look like from the future. It is also important that gold and steel tanks can be improved indefinitely, and they become available immediately as soon as the downloadable client for online tanks is registered. For crystals in the garage you can buy useful things, including shells of different actions. For example, for the Rails gun, you can buy a projectile Smoke, leaving behind a white trail, which for some time will hang in the air. Another projectile Mist, leaves a black, purple-aura-footprint, inspiring horror to the enemy. It is impossible to list all the new items, in fact there are only 300 updates, where 250 are reserved for technical nuances and 50 for content. The game code went through a serious optimization, which allows you to play even on low-power computers. Thousands of players have already become participants in the game, and for their shoulders hundreds of thousands of fights, as well as more than 10 billion. Of the earned crystals.